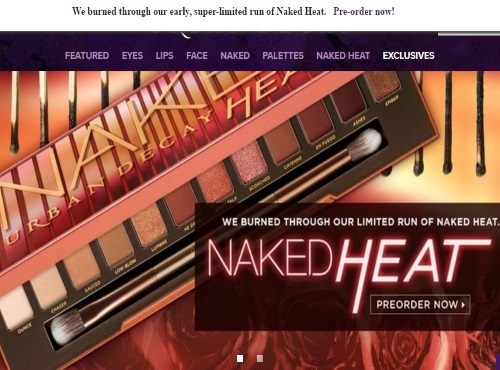 The beauty world is going crazy about the new Urban Decay Naked Heat palette. Urban Decay's website had a limited pre-release flash sale today, but it looks like they're all sold out of them now, you can however pre-order your palette! Also, keep an eye out on the Sephora Urban Decay website to see if they have this in-stock, it will be coming back in-stock soon. Also get 10% off your order when you subscribe to the Urban Decay newsletter (this should show as a popup when you visit the link below). Click here to browse Urban Decay.